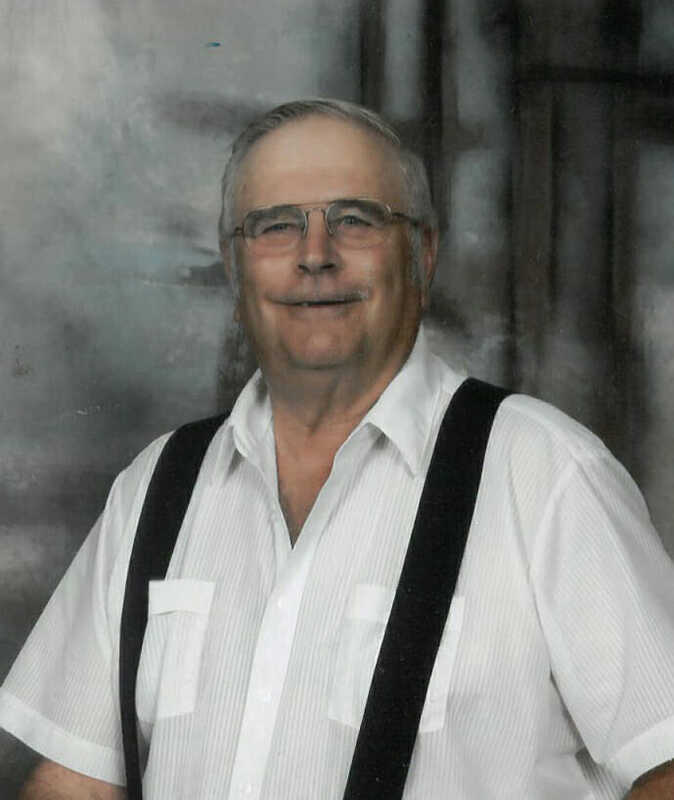 Thomas Andrew Huss, age 75, of Carrington, ND, passed away Sunday, September 30, 2018, at CHI St. Alexius Health, Carrington. Tom Huss was born October 23, 1942, to John and Bertha (Neumiller) Huss in Carrington. Tom grew up and attended school in the Sykeston and Bowdon areas and graduated from Bowdon High School. Upon his graduation, he worked various jobs until returning home to work on the family farm in rural Chaseley, ND. Thomas was united in marriage to Anna Mae (Sieleg) Bruns in June of 1979, in Fessenden, ND. He enjoyed spending time with his family and friends. Their annual trip to Medora was a vacation that he looked forward to each and every year. It was an opportunity to have all of the family get together. It was on these trips that he began his wolf collection. Tom enjoyed deer hunting; he received his gratis tag and hunted the land he farmed and cherished. Tom was strong in his faith, very seldom was he not in his usual spot at Mass. He was the care taker of the church lawn and moved snow in the winter for the last 19 years. Tom was a good step-father, grandfather and friend to those who knew him. Thomas A. Huss is survived by three brothers, David (Carol) Huss, Green Bay, WI, Larry Huss, Antler, ND, Jeff Huss, Sykeston, ND and one sister Bev. (Dale) Brunsch, Woodworth, ND; four stepchildren Carmel (Tom) Zink, DeeDee Pogatshnik, Toby (Nancy) Bruns, all of Carrington, and Anna (Dave) Peterson, Bismarck, ND; five grandchildren, Ashley (Jeremy) Hill, Michelle Bruns, Adam Zink, Seth Zink and Gabriel Peterson; two great-grandchildren Easton and Jensen Hill and his close friend Shirley Benson, Jamestown, ND. He was preceded in death by his loving wife Anna Mae, stepson Todd, stepson-in-law Dwight and two sisters-in-law Leona and Robby. Visitation will be Thursday, October 4, 9:00AM -5:00PM at Evans Funeral Home, and will continue at 6:00PM at church. Rosary Service at 6:45PM followed by a Prayer Service all at Sacred Heart Catholic Church. Mass of Christian Burial will be held Friday, October 5, 2018 at 10:30AM at Sacred Heart Catholic Church, Carrington. Burial will be at the Carrington Cemetery, Carrington, ND. I am saddened by this news. I am one of Tom’s first cousins. I also have been in touch with Beverly about this. I have a listing of all relatives on my side to let them know about arrangements. This news is so sad, so sudden & unexpected. Our condolences to all of his family. Tom was always a positive & bright light to all who knew him. He will always be missed in the Huss family. Sorry for your loss. Always enjoyed talking to him, he will be missed. I am saddened to hear of Tom’s passing so unexpectedly. Tom was such a kind and generous man. Shirley and Tom would always come to visit my mother at the Nursing Home in Jamestown almost on a weekly basis. I loved hearing his stories. He will be missed greatly. My sympathies to all. So sorry for Tom’s passing. Had many visits with him at Garden Hills. My condolence to the family and friends. I am saddened to hear of Tom’s passing as I had just visited with him the week before at the hospital. He was a good friend and neighbor when I lived in the area. Had kind of lost touch with him after I moved to Bismarck. Our deepest sympathies to the family. Condolences are reviewed by staff. © 2018 Evans Funeral Home, All Rights Reserved.